Sommertime Farms is located on Woodland Road, a rural and scenic neighborhood located on the east side of Tucson. Set within a mature pecan grove, there is plentiful shade and grass, creating a lush oasis in the desert. It's truly a paradise for riders and horses. 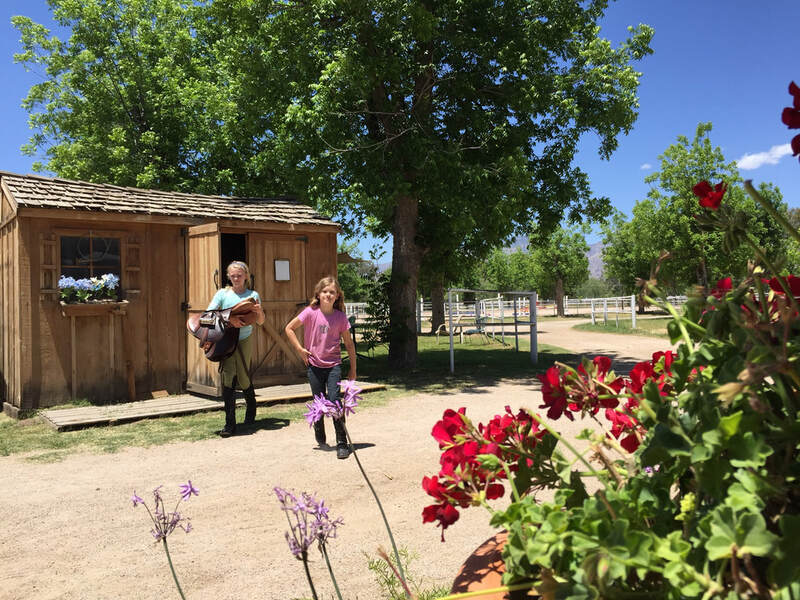 Everything needed for top-level horse boarding is here, and we take pride in maintaining our facilities meticulously. Stalls are cleaned 2 to 3 times a day, fresh bedding is supplied weekly, and fly control is taken very seriously. Our horses are healthy, happy and comfortable. No matter your passion – hunter-jumper, equitation, western or trail riding – you'll be right at home. Visit our gallery to see photos.